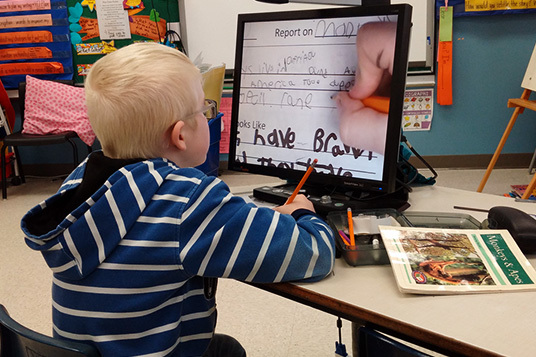 A Family Support Group was recently organized for families with children who are Deaf or hard of hearing and held at New Glasgow Regional Library. This is a fun (and flavourful!) 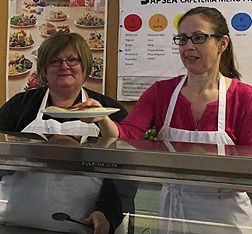 event where members of the Senior Leadership Team serve a delicious pancake breakfast to staff who purchase a fundraising ticket. 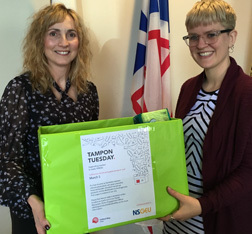 APSEA supported a unique campaign organized by the United Way Halifax called Tampon Tuesday.